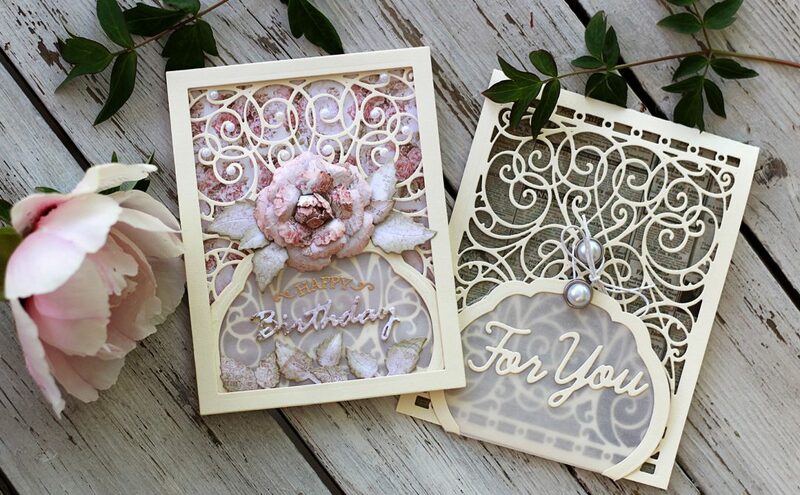 We are showcasing how to use white negative die cut and inlay with a beautiful dark pink intricate die cut piece for a stunning effect. 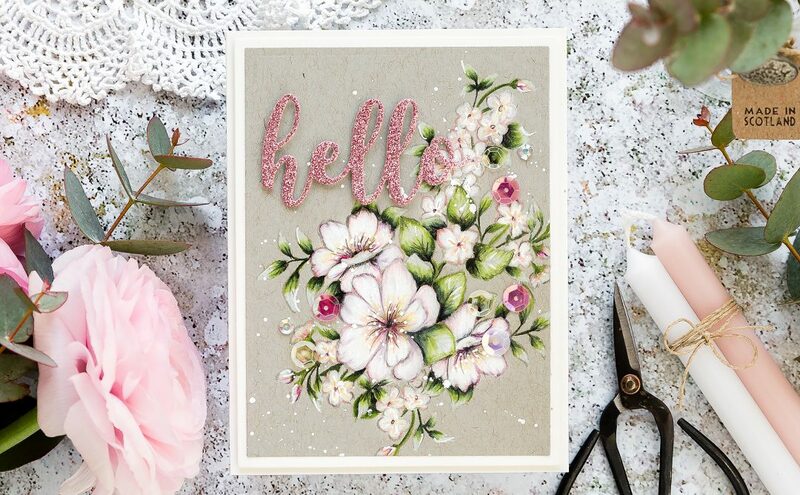 Featuring the Untamed Fleur Etched Dies set from the Rebel Rose Collection by Stacey Caron, we share a step-by-step tutorial on how it’s done! 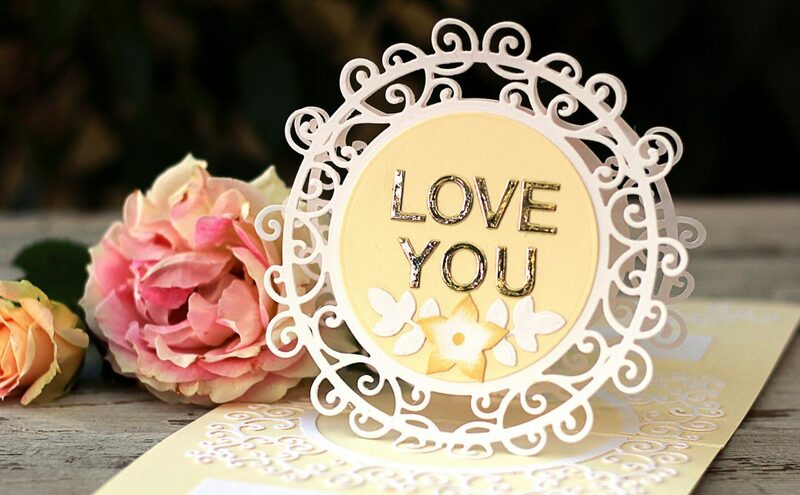 Create 5 x 7” card base out of white cardstock. Die-cut black cardstock panel and patterned paper panel using dies from A-2 Matting Basics A and Basics B sets. Adhere patterned paper panel onto black panel. Wrap purple ribbon around panels, secure from the back. Foam mount panels onto card base. 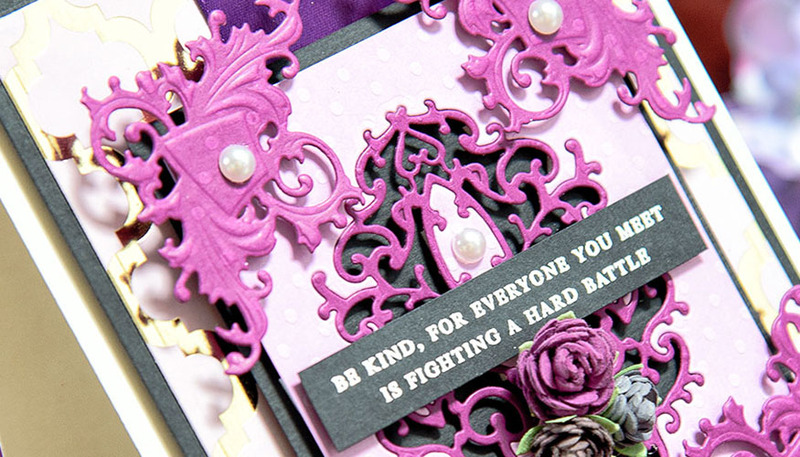 Die-cut Untamed Fleur Etched Die in light pink and dark pink cardstock panels. Inlay dark pink die cut into light pink die cut negative. Also inlay light pink large negative fleur. Add foam adhesive from the back. Adhere onto black cardstock panel. Foam mount onto the card. Die-cut four Shield Tags from the Untamed Tags Etched Dies set and foam mount onto the corners of the Untamed Fleur panel made in Step #4. Heat emboss sentiment in white embossing powder onto black cardstock, foam mount onto the card. 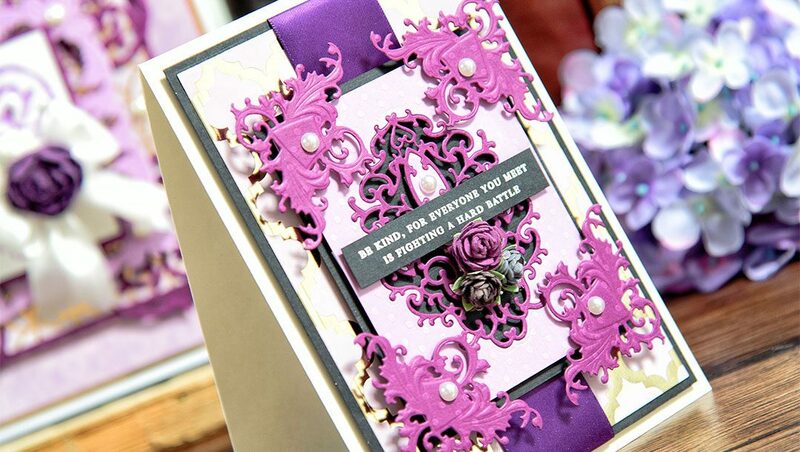 Embellish card with paper flowers and pearls. Ink; White Embossing Powder (WOW – Detail Opaque White); Heat Gun; Hot glue gun.